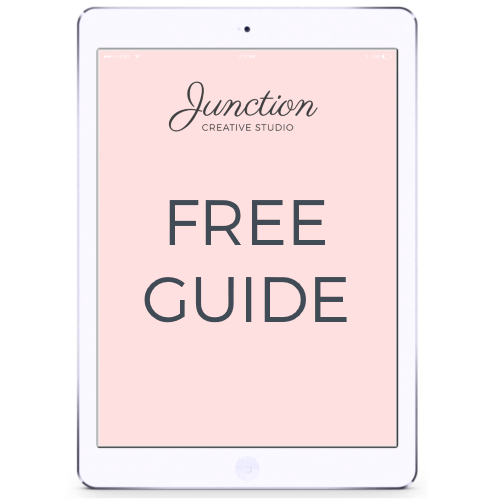 We want you to get the most out of your beautiful new website, which is why we offer affordable Maintenance and Support Packages, available exclusively to Junction Creative Studio website design clients. We recommend that you sign up for one of our 3 plans (Maintain, Manage, or Propel) so that we can ensure that your site remains in tip-top shape: up to date, backed up, and safe from malware. Leave the technical stuff to us so you can focus on running your business! Can’t find time to publish the blog posts you write? Need help keeping your online portfolio current? Are you likely to need new web pages or features along the way to accommodate your growing business? This plan is for you. Supporting your business growth through website support, upgrades, SEO know-how, and marketing insights gives us that warm fuzzy feeling, while also offering you a greater ROI for your project investment. All plans are billed on a monthly, recurring basis and you are free to cancel or upgrade at any time. Routine maintenance includes proactive monitoring, theme + plugin updates, and bug fixes. The Design Support Hours included in the ‘Manage’ and ‘Propel’ plans can be used for creating new pages or sections, optimizing blog posts, adding new features, uploading images to your project gallery, etc. – whatever we can do to make your life easier! Overages will be billed at our regular hourly rate as needed. Unused time does not roll over into the new month. Prices are subject to change. If you have any questions, please feel free to contact us. If you would prefer to handle your own site maintenance, backups, and monitoring, we also offer website support and updates as-needed at our regular hourly rate for any site created by Junction Creative Studio.